The following is the text of a speech I delivered at Manchester Histories Festival on June 7-8 2018, about the situation of Ahmed Mansoor and its relevance to the people of Manchester. I have hauled this long-defunct blog about life in the city out of retirement for the occasion; given the subject of the speech, it seemed appropriate to post it here. 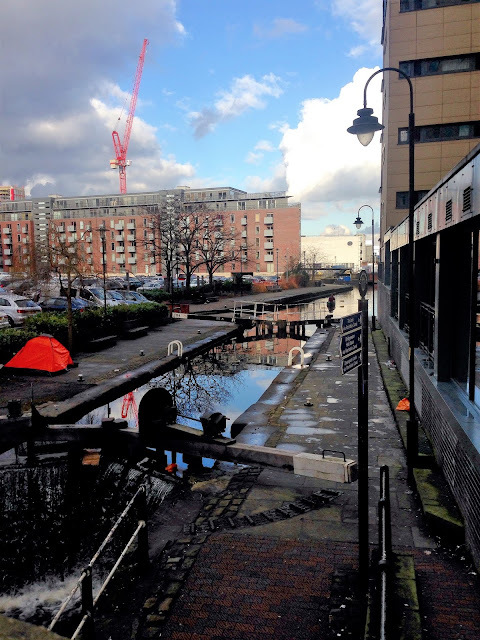 A year or two after I moved to Manchester in 2003, I started a blog about life in the city. As I got to know the place better, my posts became more critical. I began to question certain ways we have of doing things here. My website became a place for comment and debate. And I shared my opinions freely on social media. The people in power wanted to silence me, and all the others too. There were warnings. I heard them, but I kept publishing. And then they came to my house early one morning. Twelve plainclothes security officers broke down the door of the home where my wife and I slept, along with our four young sons. That was March 20, 2017. Since that day I have been held at an unknown location. That’s not true, is it? At some point there I stopped telling my story and started telling someone else’s. I’m not in prison. I stand here in front of you, a free woman in a free society. Free to voice my opinions. Free to ask questions. The man in state custody is called Ahmed Mansoor. I am here to speak for him. 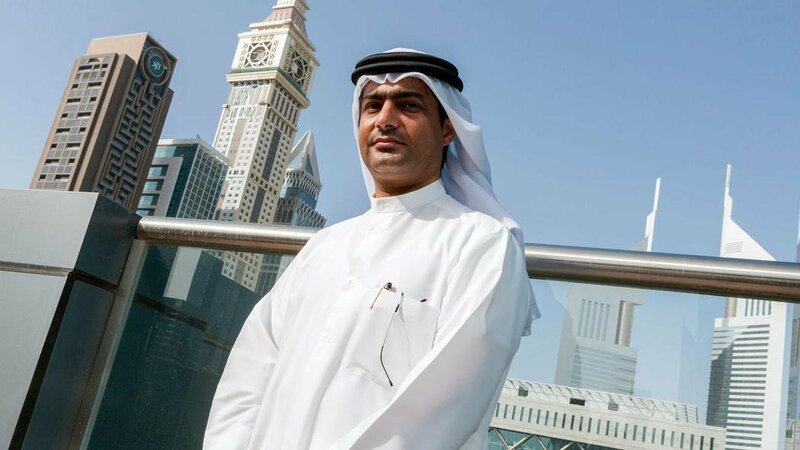 Ahmed Mansoor is a pro-democracy campaigner, blogger, engineer and poet who lived in Sharjah, outside Dubai, in the United Arab Emirates. The recipient of the Martin Ennals Award for Human Rights Defenders in 2015, he’s called the million dollar dissident, because of the incredible lengths his government went to to bug his iPhone. But a better name for him is the last dissident. The last person who was telling us what was really happening to people in the Emirates. There’s no one else. Nothing follows but silence. The United Arab Emirates is an autocratic police state which has used the full power of its authority to repress dissent, and quash reform. In 2011, a small group of Emiratis signed a petition asking for elected representation. They were rounded up and detained. Ahmed was arrested then, and released after 8 months. They’d been on hunger strike. When he got home, he picked up his young son for the first time, and the boy started screaming. He did not recognise his own father. We don’t know where he is now, but there is every reason to believe he is being tortured. You might have heard his name on the news. Seen a headline flash up on your phone. Or not. Things that happen far away often seem kind of fuzzy, like they don’t occupy the same reality. We all have so much to worry about closer to home. Some Manchester trams now show the name ‘Etihad’ as their destination. In Arabic, Etihad is a noun that means union or alliance. In 2014, our city entered an alliance with Abu Dhabi, richest and most powerful of the seven emirates. Abu Dhabi United Group, owned by Sheikh Mansour bin Zayed al-Nayhan, the country’s deputy prime minister and a member of the royal family, signed a £1 billion housing deal with Manchester City Council. This was six years after it bought Manchester City Football Club and renamed Eastlands stadium Etihad, after the royal-owned airline, which became the club’s official sponsor. We don’t know the details of the housing deal, because Manchester City Council has kept them secret. A freedom of information request was denied citing ‘the risk of prejudice to commercial interests.’ But over the next decade it will create 6,000 homes in East Manchester. heritage. Maximising the city’s growth potential. 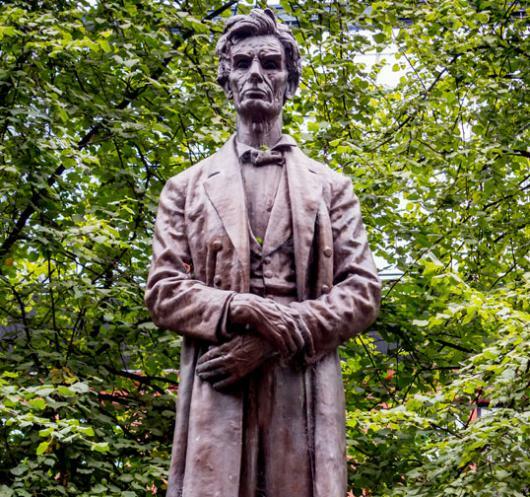 For us, it’s all about staying true to Manchester’s irreverent, characterful roots. Satin anodised ironmongery. Secure gated access. CCTV around complex. Fully fitted Mackintosh designer kitchen. Right now the next chapter of Ancoats’ history is being written. 24/7 concierge. I like that phrase: place making. What is there before place making happens? In school I was taught that in 1492, Christopher Columbus discovered America. Is that what they mean by place making? Great Britain has a fine tradition of place making all over the world. All those lines drawn on the map, making places. Pay attention. Place making is happening here, right now. Our city’s being sold out from under our feet and its streets are filling with the bodies of people who have no place. Do you see them? In a letter back to ‘the working men of Manchester, England’ Lincoln praised their act, at the height of the cotton famine, as “an instance of sublime Christian heroism which has not been surpassed in any age or in any country.” That’s why there’s a statue of Lincoln not far from here, in Lincoln Square – his name is part of the fabric of our city. Like the word Etihad. 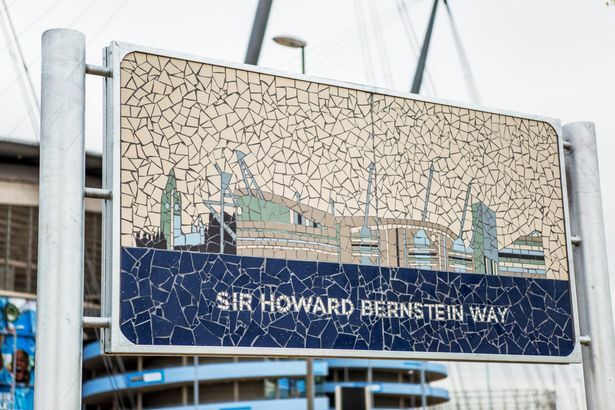 In April 2017, Manchester City FC named a street outside Etihad Stadium Sir Howard Bernstein Way in recognition of the former MCC Chief Executive’s work ‘facilitating’ the UAE’s investment in Manchester. In November 2017, Sir Howard Bernstein was appointed ‘strategic development advisor’ with City Football Group. I think history is more than historic features. It’s who we are. And I wonder: what will they write about our Manchester? Will they say we stayed true to our ‘irreverent, characterful roots’? It seems to me we prefer our irreverence in the rearview mirror. Visit Manchester has proclaimed this the year of Radical Manchester. Book a radical history tour; tea and biscuits will be served. Learn what it feels like to have a feeding tube forced down your neck while your wasted body bucks and retches! Live the experience of telling your starving children again that no cotton means no work, and no work means no food. They came for him, and now there is only silence. I’ll end with one of Ahmed’s poems, translated by Tony Calderbank. This is called Final Choice. but a tight-lipped silence in the square and through corridors. and lying on the ground in front of the queues. Cutting through the procession with eggs, tomatoes, and blazing tires. Hurling burning bottles and stones. Stripped naked in front of the public. Carving statements in the flesh. Walking masked in front of cameras. Tied and chained to garden fences. Swallowing rusty razor blades and splintered glass. and hanging myself from the lampposts. I have tried all this, but you didn't even turn to look. I won't utter a word, or move. or until I am petrified. 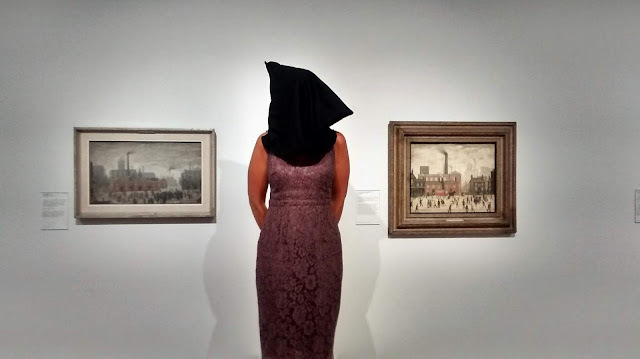 This speech was performed at the launch of Manchester Histories Festival on June 7, 2018 in the Lowry and Valette Gallery at Manchester Art Gallery, and on June 8, 2018 in All Saints Park, Manchester. The work of many journalists, researchers, activists and translators contributed to this piece. In particular I’d like to thank Frances Perraudin and Helen Pidd of The Guardian and Jennifer Williams of the Manchester Evening News; Nicholas McGeehan, Manu Luksch, Peggy Manning, Susan Ferguson, Benjamin Feld and Manchester Amnesty International; and Tony Calderbank, translator of Ahmed Mansoor’s poetry. Thank you also to Manchester Art Gallery and the Manchester Histories Festival for their help and support.